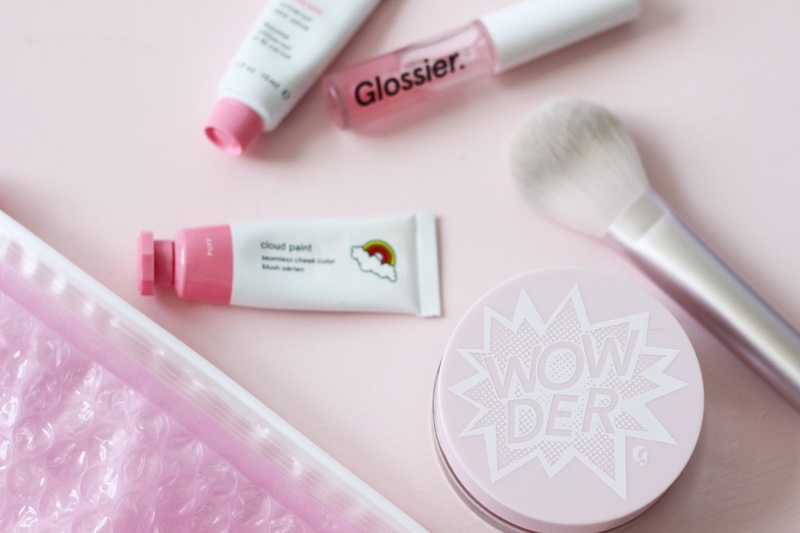 A few months ago, everyone's favourite beauty brand Glossier, went international and began shipping to Canada! Yes, it was the day we were all waiting for and something I had anticipated for a while. Since launching in Canada, they also recently hosted a pop-up showroom in Toronto which I got to visit. Although I had already tried a lot of their products prior to visiting the showroom, it was nice to be able to swatch colours I hadn't tried or were curious about and test out some things I've had my eye on. Needless to say, I did not leave empty handed! They also have a flagship showroom in New York City, if you're ever around there and get a chance to pop by. I'm a huge fan of the brand and products, and have happily joined the cult following. From their badass CEO, Emily Weiss, to their simple yet elegant branding - it's hard to find anything not to love about Glossier. 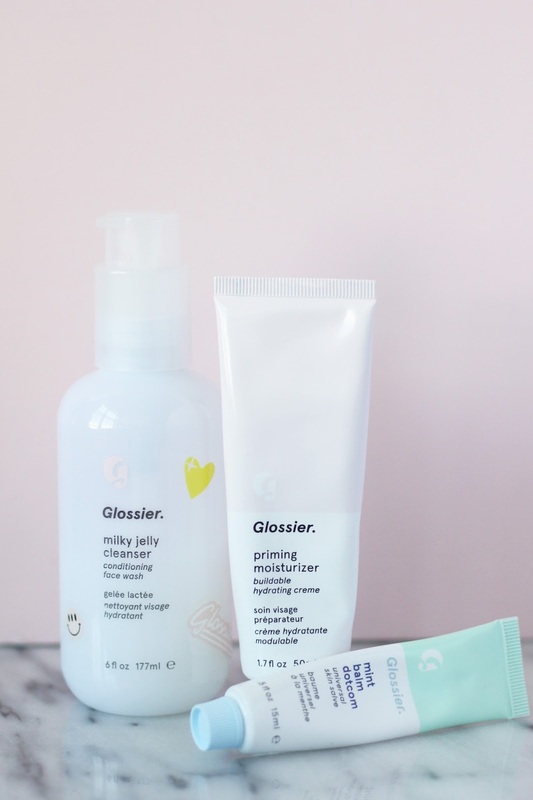 Having used these products for a few months now, I feel as though I have created enough opinions to share what my first impressions were, what grew on me, what I love / don't love and why I'll continue to support Glossier. If you haven't been on their website before, definitely check it out and learn more about the products. They also offer great bundles with items that will save you money. Believe the hype for these things because they are AMAZING! This set was one of the first things I ordered and immediately loved. Don't ask me to pick a favourite flavour - that's like asking me to pick a favourite child LOL, but seriously. As someone whose always reaching for a chapstick or lip balm, these tubes are pure magic. They smell incredibly delicious and feel even better on the lips! I always have one readily available and within arm's reach. I keep the mint flavour on my nightstand and love applying it at night before bed, leaving my lips with a cool, tingling sensation and in the morning I use coconut while I'm prepping my skin for makeup. I love the cherry one because you get a hint of red once applied, and with the birthday cake one you get a bit of sparkle and shimmer. I keep these two in my purse and usually layer them with my lipstick for added moisture and shine. The scents are pure nostalgia to me and remind me of the lipsmackers I loved and used as a kid. This set comes with their famous Milky Jelly Cleanser, Priming Moisturizer and your choice of flavour for Balm Dotcom. It comes at a value and you save a few $$$ with this set. I decided to try it out because I heard amazing things about the cleanser, and was in the market for a new moisturizer. Also, any excuse to get another Balm Dotcom is good with me! I can confidently say that this cleanser is just as good as everyone says. I use it daily and it's the perfect gentle cleanser to remove makeup and refresh the skin. It feels so nice to use and I love the jelly consistency of it. It has a mild floral aroma which doesn't bother me, and I quite enjoy. Now the priming moisturizer...I can't say I'm a big fan of this one. I read a lot of mixed reviews about it, but everyone's skin is different so I figured I'd give it a go. It's definitely a lighter moisturizer, and as someone with dry/normal skin, this wasn't enough for me. I felt it was too light weight, and although it says it's a "buildable moisturizer", I don't want to be layering up on a product to get the hydration I crave. My skin was also a little sensitive towards it and sometimes felt a little itchy and tingly after application. This product is probably best suited for someone with normal/oily skin. For those seeking more moisture and richness, they carry a similar product - the Priming Rich Moisturizer. I tested this out when I visited the showroom and it seemed to be something I'd prefer. It felt much thicker, richer and overall left my skin feeling more supple and soft. When the time comes, I'll likely give this one a go. I love face masks a lot and had high expectations for these guys. I typically use masks 2-3 times a week depending on my skin care concern, or what I'm trying to achieve. Again, I had read mixed reviews on these but wanted to see for myself if they lived up to my face mask standards. I like masks that carry out a promise and make my skin look and feel clean after, but I'm not sure if I got that same satisfaction with these two. 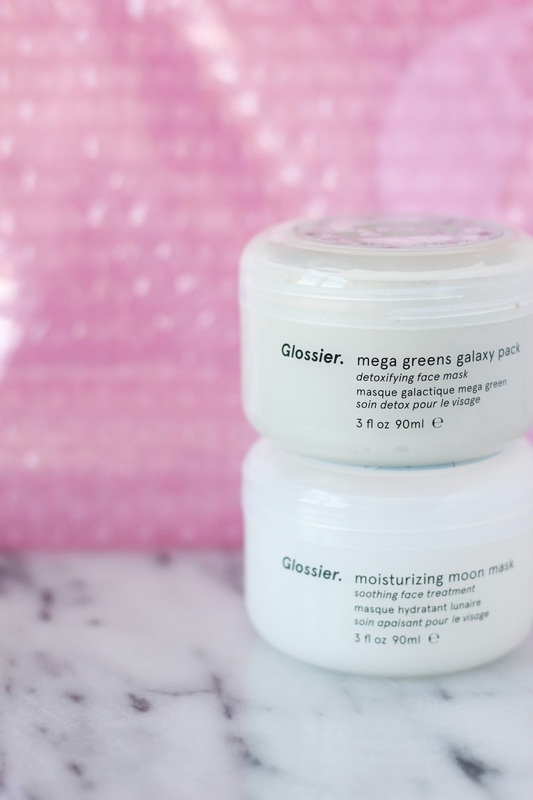 The Mega Greens Galaxy Pack is a detoxifying mask which aims to purify and balance the skin while drawing out excess oils and leaving the skin conditioned and fresh. Out of the two, I prefer this mask because I feel like it's actually doing something for my skin and it feels pretty clean afterwards. I'm not sure there's a lasting difference, but it does help to bring things to the surface as I noticed a few small breakouts the following day. The Moisturizing Moon Mask is a hydrating treatment which aims to brighten the skin and leave it feeling supple and moisturized. It's recommended to use the Mega Greens mask first, followed by the Moisturizing Moon mask for best results. After using the two in combination I didn't notice any significance in how my skin felt or looked and was a little bummed out by it. I'm going to continue to use them and not give up just yet. After a few more continual uses, I hope I'll notice a difference. I'm excited to test this one out in the Winter when my skin is more dry, to see how it works and if it really does work. Moving onto my favourite part, the makeup!!! I think when it comes to the makeup, I've tried almost all of it (with the exception of the skin tint and stretch concealer.) 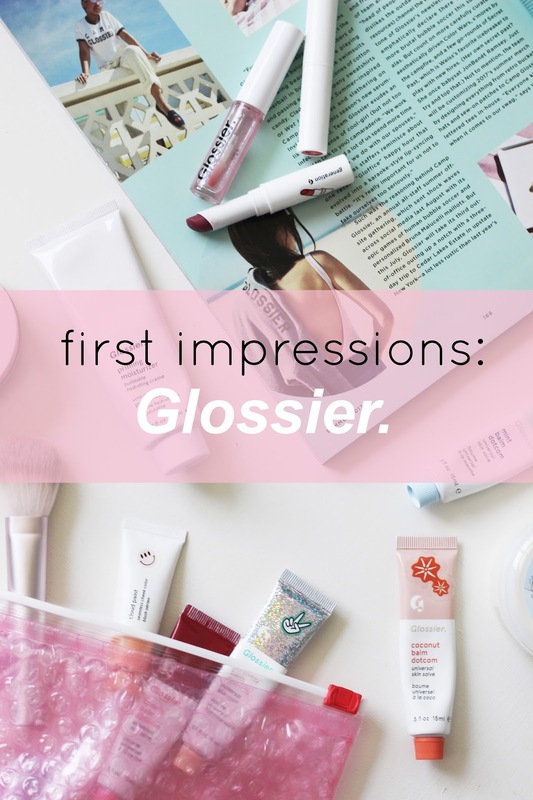 I was most looking forward to try out the Glossier makeup because it's very affordable, like the rest of their products, and also helps to achieve a more overall natural look. Something I love about receiving Glossier packages, is their signature pink bubble wrap pouch that the products come in. I have a pretty hefty collection by now, but they make great travel bags for products and makeup bags too! I usually carry one in my purse with all my main products I need on the go. One of the first products I ordered and was most ecstatic for. In my opinion, eyebrows make or break a look and it's important to make sure they shape up (literally and figuratively). It's safe to say that I've find my forever favourite brow product with this one! It's so easy and quick to use, and my brows have never looked more full, put together and effortless. I use the shade 'blonde' which is a perfect match. I love a good highlighter and must say I was super skeptical of this one at first. It's different than what I'm used to - not a powder or a liquid, but rather a stick! My first time using it, I felt like I was rubbing a glue stick on my face and was NOT about it. It made my skin feel sticky and weird, but I decided not to give up on it. I'm glad I didn't because it's become one of my most used products so far. I purchased the shade 'quartz', which is a gorgeous pearlescent shade that would compliment any skin tone. It really gives a beautiful, dewy glow and looks very natural on the skin. My preferred method of application is rubbing it onto my fingers and patting it around my cheekbone, brow bone and cupids bow. It is super blendable and buildable too depending on how much *glow* you want! I've never been a fan of lip gloss...until now! I always hated the feeling of it and didn't care for the look of it either, but figured I'd give this a go for 1) nostalgic reasons and 2) the hype. This is seriously one of the most beautiful, perfect lip glosses to exist! I often find myself reaching for it in my bag and applying it when I want a "barely there" lip. It feels nice and not at all sticky, and has a good smell. I like how it looks on it's own, but it's also perfect to layer and refresh lipstick you've had on for a few hours. My most recent addition to the collection, and one of their newest products. I picked this up at the showroom along with the brush. I love the packaging - it's super cool, easy to use and minimal product is wasted due to the "trampoline like" mesh screen inside. Compared to the other setting powders I use, this one does seem a little small so it'll be interesting to see how long it lasts. The brush that comes with it is very soft and makes for a great application. It's very natural looking and does what you want a powder to do; which is help with excess shine and setting the makeup. I think it's safe to say I would re-purchase ALL OF THE ABOVE! Having purchased all 4 shades, it's clear I'm a fan of these. I've become really fond of a good liquid blush, and this one takes the cake. Super simple to use, great colour range and applies beautifully. You can go heavy on it for more colour intensity, or diffuse it for a light flush of colour and glowing finish. These seamless cheek colours are very diverse and I think they would look gorgeous on any skin tone. They have a packaged deal when you purchase two, you save money. I would say my most used or "go-to" shade is 'puff' and 'beam', but I think 'haze' and 'dusk' will be awesome for Fall/Winter. When I first tried this matte lipstick in the shade 'like', I wasn't sold. In fact, I hated it, thought it was a waste of money and kind of pointless. It's a light powdery pink colour and says you can layer it for more intensity, however I felt like there was barely a noticeable difference after applying it. I guess it's what they call a "your lip but better" colour because I felt like it just subtly made my lips a little more pink. BUT, after visiting the showroom and swatching the other shades, I was sold (as I easily am). 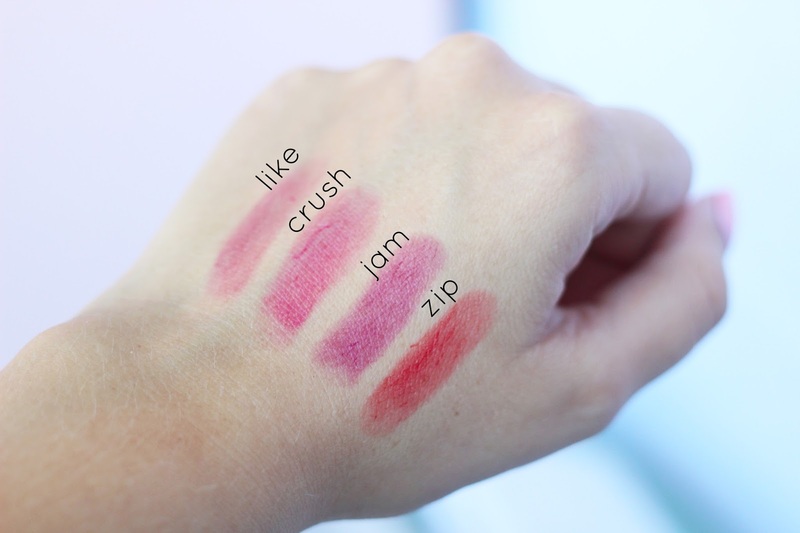 I picked up 'zip', 'jam' and 'crush' and am in love. 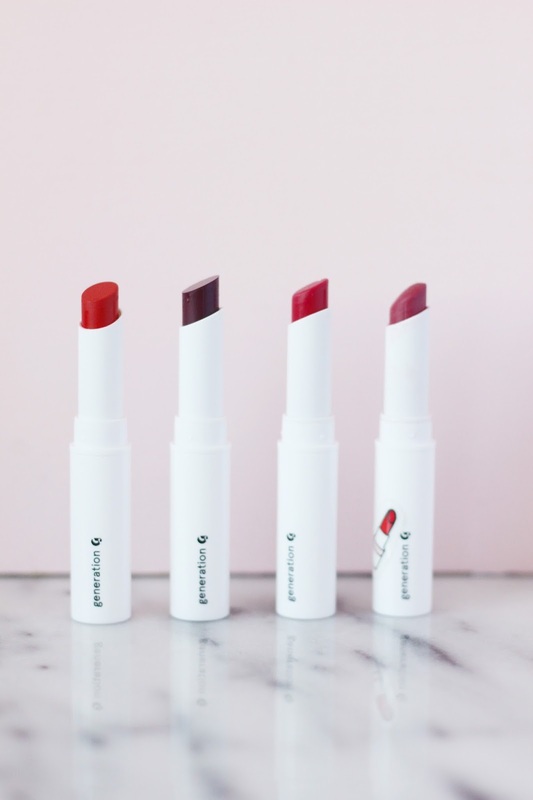 These lippies give a natural looking tint and colour to your lips and wear pretty well. So far my favourite is 'zip' and 'crush'. 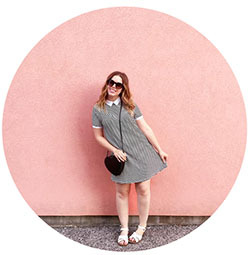 Zip is a nice pop of red and looks great layered with the cherry balm dotcom, and Crush is a pretty raspberry pink. Jam is a deep berry colour that I'm excited to wear for Fall, and my thoughts on Like are pretty obvious as stated above. I'm a fan and love it all! Great price point for good quality makeup that will help you achieve a glowy, natural look. Products are buildable, diverse and pretty flawless if you ask me. I can't wait to see if they launch any new makeup and what it will be (eye shadow? mascara?!) 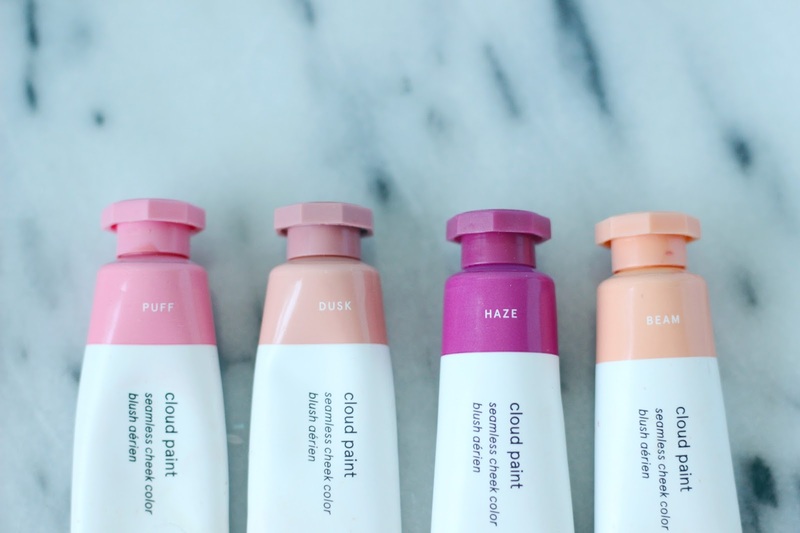 The future is bright for Glossier makeup and the possibilities are endless. While it's clear I'm in love with Glossier, I'm excited to continue to support their brand and use the products and see how they benefit me in the long run. It's an affordable beauty brand that's consistently empowering women to feel good and look good and that's something I love to stand behind and support. 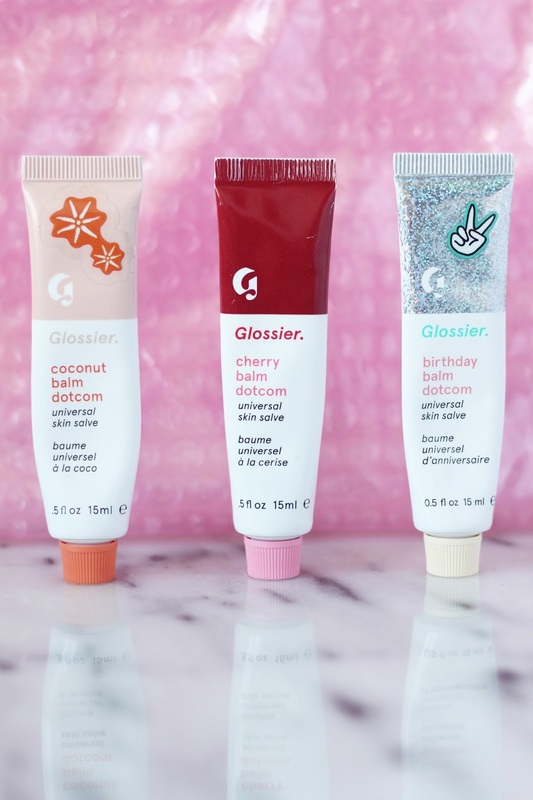 If you've never tried Glossier before and have been thinking about it, click HERE to get 10% off your first purchase! You also get free shipping when you purchase two or more products. Hope you give it a go and love it as much as I do! *Please note all opinions are my own. For any further questions, please leave a comment or send me an email.